If you're going to ride things should be in the right shape. When you're riding you have to be ready. Whether you ride road bike or mountain bike you can improve your ride with better gear. If you're on trails or if your riding road conditions, you'll need different clothing. If you're a technical rider you'll want something that can protect you from the occasional spill. If you're riding for strength and speed you'll want something that doesn't overheat. When you're on trails you'll want something that'll protect you from the elements. If you only ride in the gym Bodygears has clothes for spinning too. 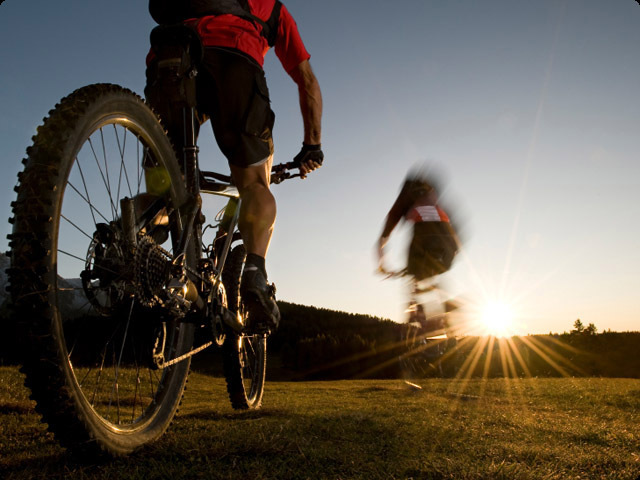 Biking is strenuous exercise and the equipment shouldn't interfere with your workout. At Bodygears we have spandex, leggings, capris, cycling shorts, one piece tri-suits, underwear, socks and gloves. At Bodygears we can get you ready for your next ride. "If you've got your gear you're ready to go."